The fine folks at Platz have decided that it is time to re-issue some of their earlier kits. Most modelers have been asking for a reissue thanks to the scarcity of the originals and the speed at which they sold out. This double kit is of the later variant of the Shiden-kai with the slightly less broad fin assembly. In most other respects, the two types are the same. The molds are showing a bit of age with some flash on the tips of the guns, pitot tube and on one prop blade. While there is no pilot, the aircraft has a nice, deep interior with an instrument panel, seat and control stick. 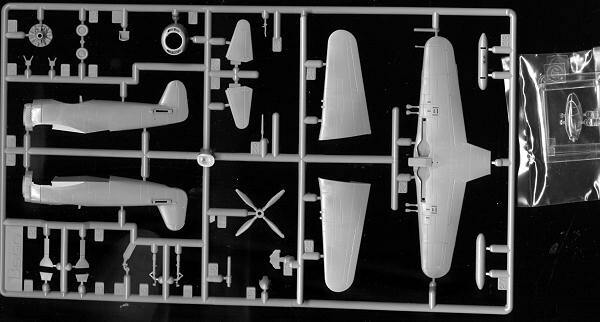 A fairly nice representation of the front cylinder bank is provided for the cowling and the kit comes with a fuselage drop tank. Equally nice is the landing gear and the gear wells are properly deep. A one-piece canopy is provided. The general engraved detail is crisply done and appropriate for the scale. This boxing has the broader fin of the early version, and so Platz has provided that in addition to the rest of the sprues. The modeler will need to cut away the later tail and install the new one. An easy to follow six step construction guide is provided with the seventh step a detail painting guide. Markings are provided for six aircraft. Aside from the orange prototype, these are in Kawanishi Navy Green over unpainted metal with yellow leading edge ID stripes. After the prototype, there is a 301 Squadron/343 Flying Group plane with nice yellow fuselage bands. 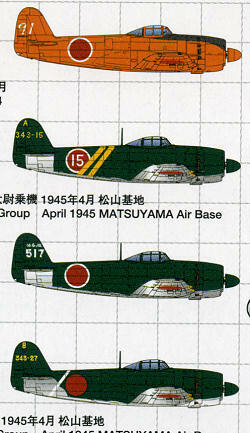 This is followed by a Kawanishi factory plane and then a 407 Squadron/343 Flying Group aircraft, this time with a simple white rear fuselage stripe. 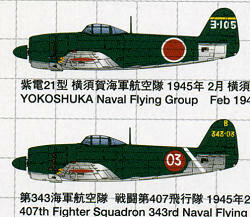 From the Yokosuka Naval Flying Group comes the fifth markings option, with the final choice being a 407 Fighter Squadron/343 Glying group aircraft, also with a white fuselage stripe. 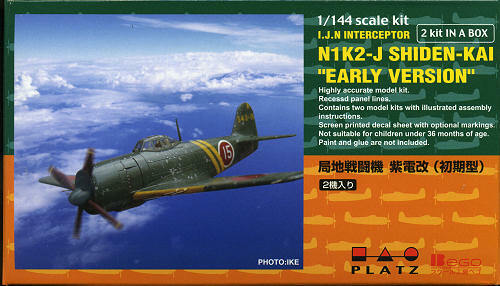 Decals (not shown) are well printed and typical of Platz, you get enough insignia and data markings for three aircraft even though only two are provided in the box. These Platz 1/144 kits are really superb. I have built several and enjoyed the fit and finish of every one. Highly recommended, especially if display space is an issue.